SoaR CS:GO is coming back, and they’re looking to make moves right away. SoaR Ethos made the announcement on his twitter page yesterday which garnered 702 likes with 81 retweets as of this writing. He finished the tweet with #SoaRCSGO. What happened to SoaR’s last Counter Strike roster? Earlier in the year, Team Dignitas made a stunning announcement that they would be acquiring SoaR Gaming CS:GO squad. Team Dignitas was looking to get back into CS:GO as well, and had to get a North American team for the ESL Pro League for 2018. This is when they made the bold move to acquire the SoaR CS:GO roster. At the time, SoaR Gaming just qualified for the Electronic Sports League via the ESEA Premier division finals consisted of a novice roster. Rumor has been spreading around that the SoaR organization wasn’t able to pay a competitive salary to the players which is where Team Dignitas stepped in after seeing the opportunity. Who was SoaR’s Past CS:GO team? The last SoaR CS:GO team consisted of Matthew “mCe” Elmore, Logan “Voltage” Long, Jack “xCeeD” Holiman, Michael “Grim” Wince, and Mitch “mitch” Semago. Ironically, since the acquisition by Team Dignitas in January 2018, none of them have stayed with the organization. xCeed was the first to leave the team the following month in March to Etherian E-Sports. mCe left in Pairl to Rogue, Voltage and Grim to AZIO eSports in June, and last Mitch in August of this year. SoaR Gaming is now looking towards a bright future which not only consists of a Black Ops IIII, Fortnite Battle Royale and Destiny 2 division, added to that will be a Counter Strike: Global Offense division. As stated earlier, SoaR Ethos tweeted “SoaR CSGO is coming back!” followed by “I’ve been told I’m allowed to recruit 4 new CS:GO players of my choice to SoaR and I need some help…“. SoaR Ethos then asked his followers is they can “Tag someone who you think deserves to join“. The response has been overwhleming, getting the attention of hundreds of followers to give their inpout. A total (as of writing) 404 comments were made with many followers giving their inputs. SoaR CSGO is coming back! 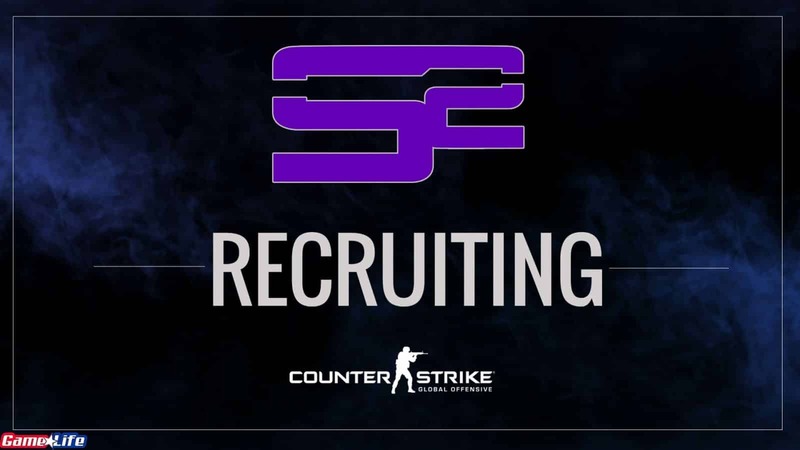 Who will be on the new SoaR CS:GO Roster? That’s the question every SoaR fan is asking. Who will make the cut and be part of the prestigious organization? Well, Game Life has accumulated some names from the many comments on SoaR Ethos’s tweet. Due to the overwhelming response, Ethos has to reiterate that “there are only 4 spots guys….” and adding “ONLY TAG PEOPLE WHO REALLY DESERVE IT“.